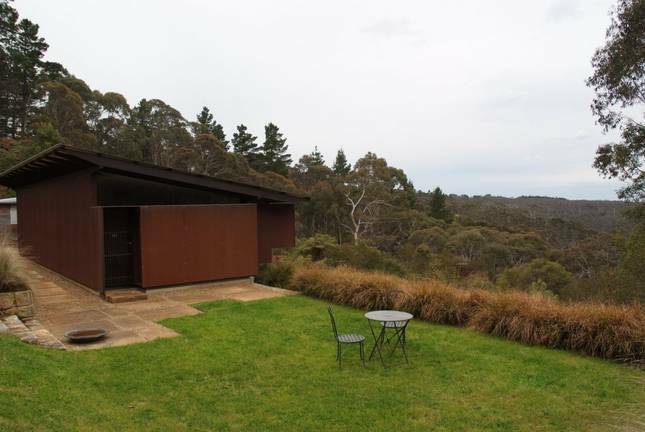 The house was cladded in core ten steel which rusts to a protective coating. This house was linked to the main by a walkway. Phillip Ascott working on the bamboo floor.